I’ve had my Team Director hat on this past week, putting up a new website for the Cannon Valley Mountain Bike Racing Team (also a Facebook page and a Twitter feed). 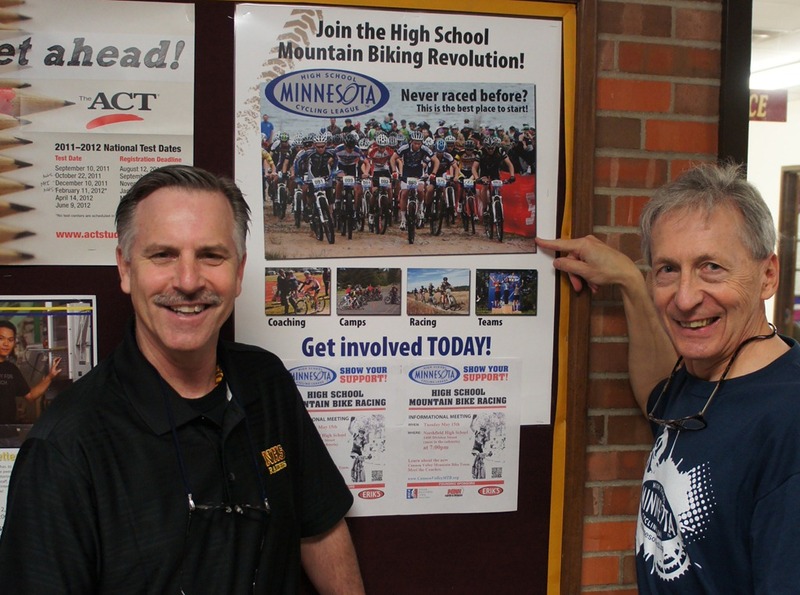 I also started plastering posters around the area promoting the first information meeting for student-athletes and parents: at misc retail locations, eg, GBM; with Activities Director Tom Graupmann at Northfield High School); at ARTech High School and the ALC; and at area bike shops FIT to be TRI’d, Mike’s Bicycle Shop, and Milltown Cycles. 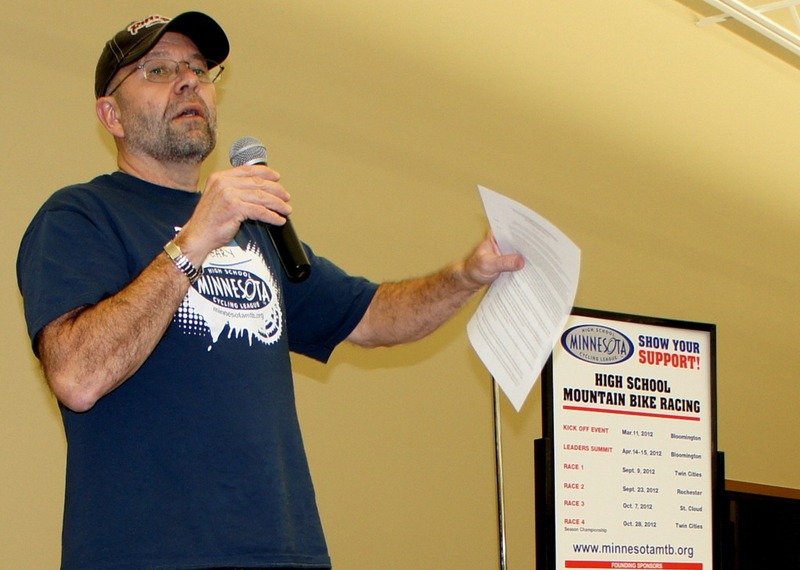 Gary Sjoquist, Founding Chair of the Minnesota High School Cycling League and QBP’s Advocacy Director, will be presenting. Head coach Sue Welch and I will be there as well. Help spread the word by downloading and printing out this poster (DropBox link) and putting it up in public places. The QR code in the lower right corner of the poster links to the Cannon Valley Mountain Bike Racing Team website. Previous PostPhotos & video: Out of the Silence, Onto the Streets marchNext PostIs the Northfield Municipal Liquor Store as profitable as it could be? It should be noted that this team does not yet exist! So this meeting is for those student-athletes (and their parents) who might be interested in joining this new team. Hey Griff, I wonder if you shouldn’t put a bit more emphasis on the idea that you’re recruiting both boys and girls for this team. And that the scores for both the boys and girls make up a team score. I think that in the past, only the weightlifting team has had both genders on the same team. hmmm….maybe bowling does it too–I don’t know. Anyway, a tip of the cap to you and head coach Sue Welch for your efforts. Good suggestion, Curt. I’ll do that for next week’s blurb. I have been verbally emphasizing the importance of having girls on the team, especially since their points on race days count more than boys’ points. Other states have learned that this encourages the boys to help recruit girls, as well as to treat them well once they’re on the team. 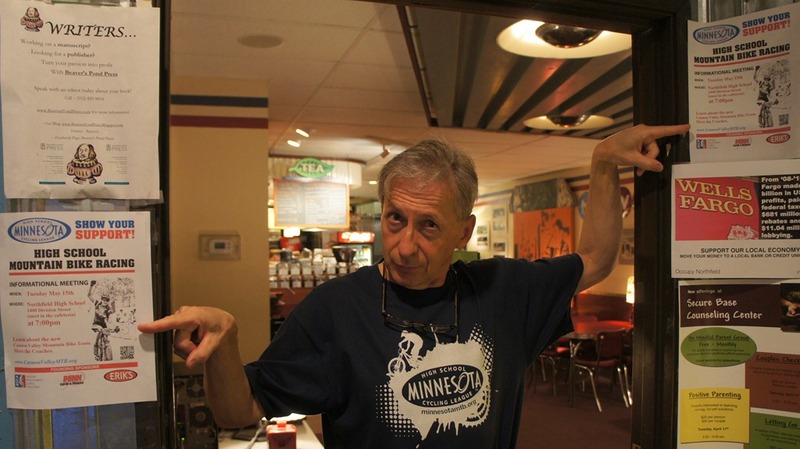 I have connected to the two Girl Scout troops in Northfield that have high school-aged girls. Jordan Osterman, the new Sports Editor for the Northfield News, scooped me on Saturday. I’m glad! Wigley said he and Welch will push to get both boys and girls involved in the club, which would use four regional mountain bike-specific trails to supplement local training. Good turnout last night for the Cannon Valley Mountain Bike Team meeting at the high school. I’ve blogged a summary with the ppt presentations.